Our new Futsal strategy aims to make this fast, exciting format of the sport become England’s indoor game of choice for young players and drive participation. The man behind the document is Michael Skubala, who is head coach of the England Futsal team and elite performance manager, and he explains the thinking behind it all and the plan for 2018-24. 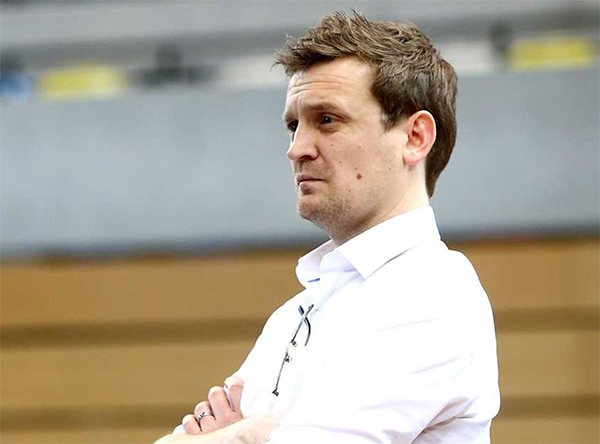 Michael Skubala has been the England Futsal head coach since January 2017, having previously been assistant coach to Peter Sturgess before that. A former Futsal international with the Three Lions before that, he also acts as Futsal elite performance manager after joining the FA from his previous role as director of football at Loughborough University. I can still remember it, the first time I played Futsal for England. It must be 12 or 13 years ago now and it was away in Thailand. I walked out not really sure what to expect, but recall the shock when there was a crowd of 8000 people watching. I knew there had to be something in it and Futsal is now played in most countries in the world. Then, while working in different football settings in the pro game, as director of football at Loughborough University and coach of Football World University Men’s team, twin-tracked by coaching with Futsal. I found that there is more correlation than meets the eye, in my opinion, especially for young players. At the elite end, the games are tactically different for sure, but for younger players involved in Futsal there are huge benefits. Futsal in England has evolved so much since those early days, but even though the FA has been doing Futsal since 2003, there’s never been a plan in place so this is a landmark moment for the game. This strategy was one of my first challenges from Kelly Simmons, who was director of football participation when I began my role, to help create a Futsal strategy which suits England. It’s taken me 16 months so it’s been a long process with a lot of input from outside and across the organisation, as it’s important that we get it right and get Futsal embedded across the game for men, women and juniors at grassroots and elite level. Our main priority is to create an identity for Futsal, so people really understand what it is and what it isn’t, and what part it plays in participation, development and elite opportunities. People often get confused between Futsal and five-a-side, so we want to cut across that. For example at the elite level we play with 14 players. And we need and use all of them! It’s becoming our indoor game of choice for young players and if kids and youths are going indoors to play during the winter months, they should be playing Futsal. So it definitely suits our climate! We need a skilled Futsal workforce at grassroots level across the country, so coaches at clubs and teachers in schools can put on a Futsal session for young players. Currently, we’re delivering something like 3000 Futsal courses a year so it is growing. But we want to move that number up to something like 15,000 new licensed Futsal coaches, at a Level 2 Futsal or UEFA B Futsal, across the country over the next seven years and really give our young players the best learning opportunities. We want to provide clear pathways for Futsal in England too, whether that’s through schools, grassroots clubs or universities into the Futsal clubs or even the professional game, which we’ve started to see more of in the last year or so. That also feeds into creating better players for England, to help us improve and make our national team more successful in the elite environment. The best way to do that is by getting more people to play the game for longer, from a younger age. At the moment, some of the players I get for the England squad didn’t even start playing Futsal until they got to university. So they play Futsal for four or five years and then go into trying to compete against nations with squads who have been playing Futsal their whole lives and many of them are full-time professional Futsal players. So we have a long way to go, but this is the start and with Futsal now being part of our National Game Strategy, it’s all a step in the right direction.